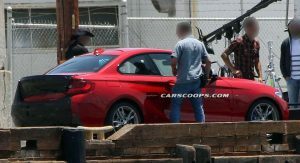 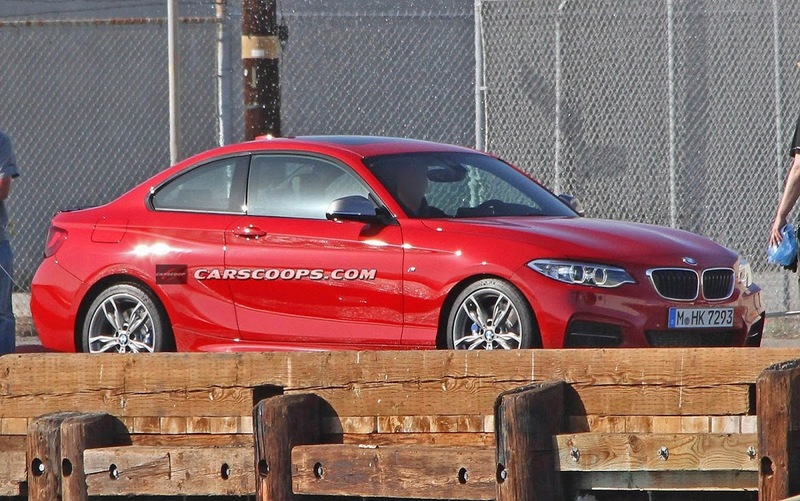 For the very first time, we can take an unobstructed look at BMW’s new 2 Series Coupe, seen here as an M235i model (think of it as an M135i with a boot and a prettier face). 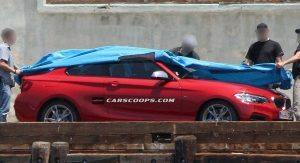 As you know, BMW’s new naming strategy means that what was previously known as the 1 Series Coupe and Convertible will soon be called the 2 Series Coupe and Convertible respectively. 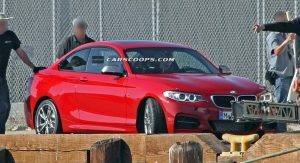 Unlike the 1 Series Coupe and Convertible, the new generation model adopts a different front end than the hatchback upon which it is based. 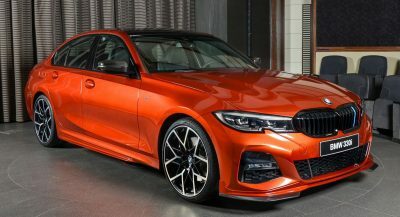 The sleeker headlights and the aggressive bumper with large intakes make the car look like a mini-me 4 Series Coupe, as does the similar profile. 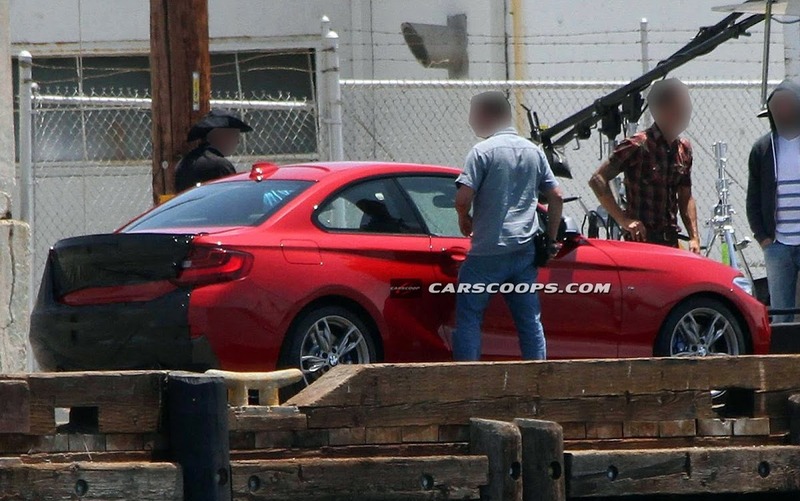 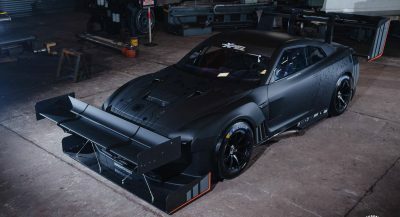 The only part of the car we don’t get to see very clear from this set of photos is the rear, which is covered. 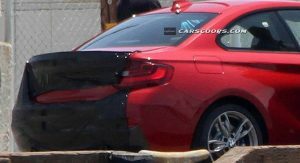 However, the shape of the taillights looks more like a reinterpretation of those seen on the 1 Series Coupe than what we’ll see on the 4 Series. 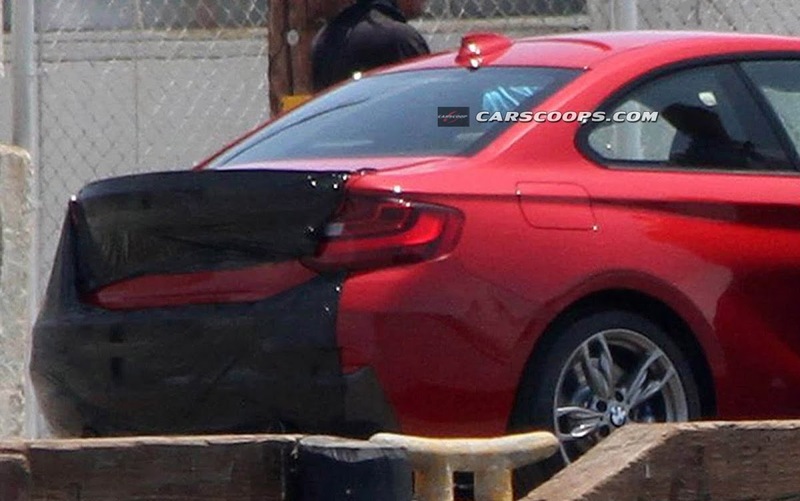 The M235i Coupe’s rear end is expected to feature split twin black exhaust pipes, a trunk spoiler lip, and a black rear bumper diffuser. 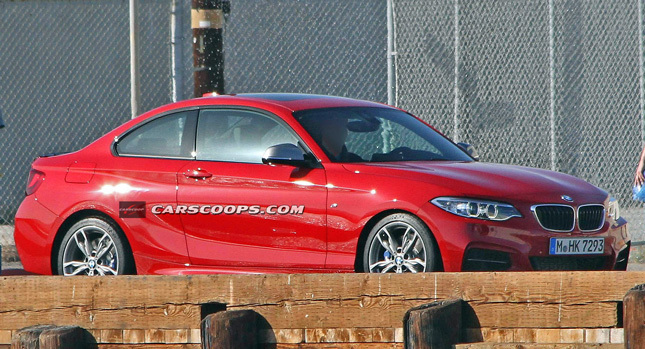 The car rides on wheels from the M135i, with the blue M Performance brakes coming from the same car too. 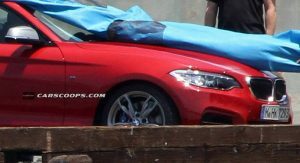 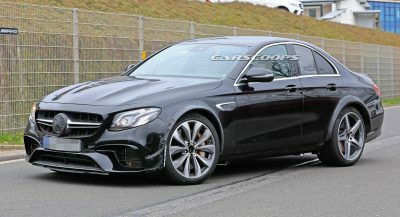 BMW enthusiasts will no doubt spot the M badge on the side fender and will notice the lack of lateral air vents. 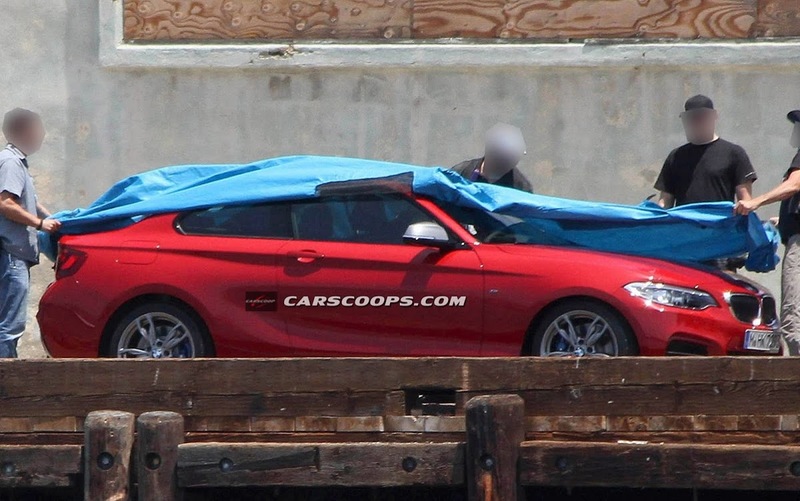 As for the interior, it is clearly based on the 1 Series’, as we previously reported. 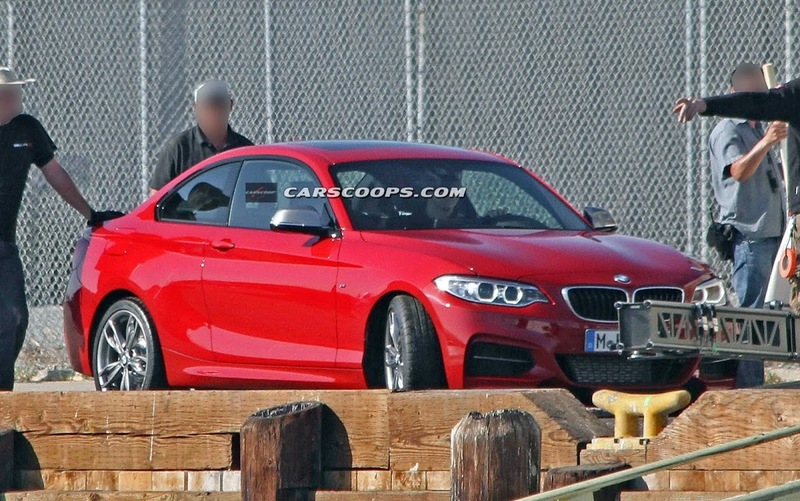 The M235i aside, BMW will also make a 228i for the U.S. market, with production to start this November. 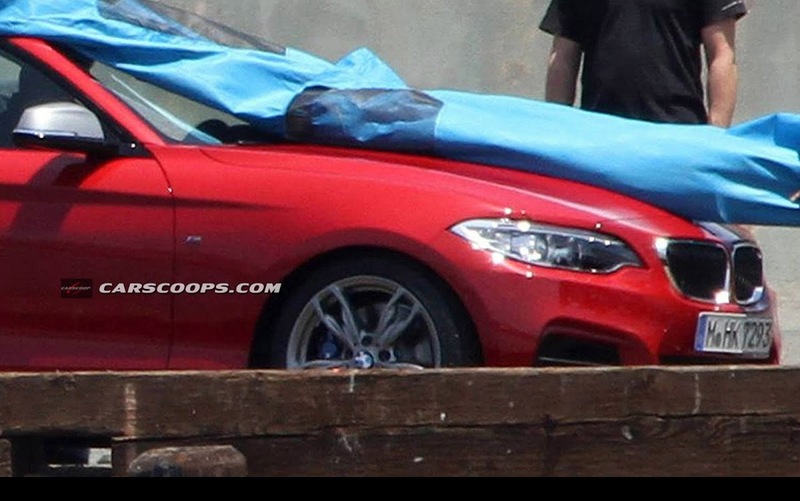 So BMW fans from the States that wanted an M135i (the hatch) but couldn’t have it, will be able to buy an M235i instead, as the two models are expected to be identical from a technical point of view sharing the same 3.0-liter turbocharged inline-six rated delivering 316bhp (320PS) and 450Nm (332 lb-ft) of peak torque. 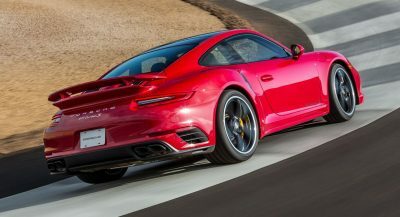 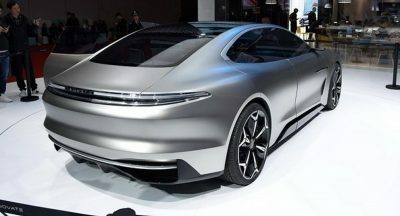 A standard six-speed manual or an optional 8-speed automatic will drive the rear wheels, and possibly as an option, all four wheels.